How Would Bullying Affect Your Children? Bullying refers to an unwanted aggressive behavior by an individual or a group of people. It is called bullying when the aggression is repeated several times. Bullying will always have a power imbalance – it means that one individual will be or at least feel weaker as compared to the person who is bullying someone. Bullying can hurt an individual in many different ways, and the effects of bullying in children can be both mental and physical. It can be physical. Everything from pushing, kicking, and damaging someone's belongings to stealing and forcing someone to do something falls into this category. It can be verbal. It includes calling names, teasing, insulting others, spreading rumors, and threatening someone with physical harm. It can be relational. Everything from making someone feel left out and refusing to talk to someone to encouraging others to bully a person falls into this category. Bullying in schools can affect children in many different ways. In fact, many studies have found that childhood bullying can lead to problems in adulthood. It can affect a child's physical, psychological, and cognitive health. Here are some common effects of bullying in children. One of the immediate effects of bullying will appear in how your child performs in school. Studies show that children who are bullied constantly are likely to perform poorly in school. In a study conducted by UCLA researchers, a connection was found between poor academic performance and excessive bullying. Those who are bullied usually have less motivation to learn new things and this leads to poor academic performance. Low self-esteem is one of many side effects of bullying in children. When children are bullied, they feel anxious, tense, and afraid at school. This emotional trauma makes it difficult for them to see the positive side of anything. 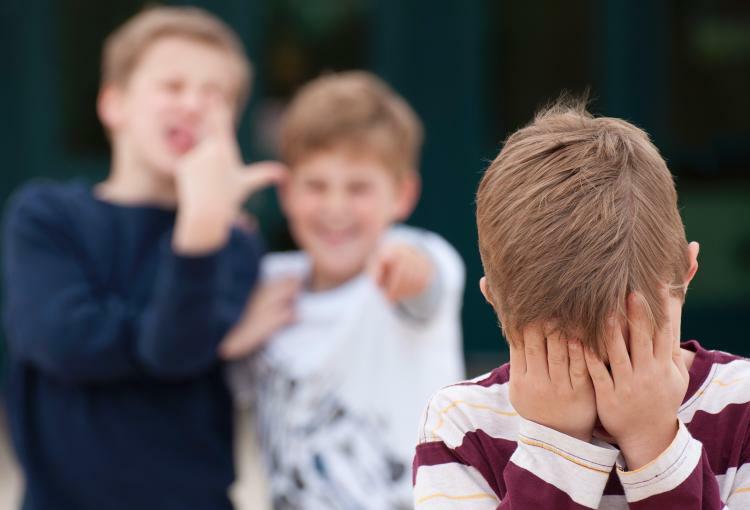 Bullies thrive on making an individual feel worthless or inadequate, and when they are successful, this makes the other individual feel extremely bad about themselves. A child who is bullied lacks confidence and is rarely happy. The low self-esteem then leads to other problems, including mental health issues and violent outbursts. Some kids with low self-esteem resort to different substances to forget about the physical and emotional trauma they have to experience when they are bullied. The bully may put an individual in a difficult situation at school, and this can sometimes lead to problems with the law. When the victim fails to deal with the situation the bully has put them in, they often look for an easier way out and turn to drugs. A study found that out of 30% of studies who were bullied, 16% used marijuana and 14% smoked cigarettes. These numbers also show that bullying and drug abuse are extremely prevalent in schools these days. The mental health repercussions of bullying can be extremely dangerous. Studies have found that bullied children are likely to be at a higher risk of developing depression symptoms. When they have an ongoing feeling of sadness, they are also likely to deal with suicidal thoughts. Statistics show that bullying has been a factor in many suicides among American teens. Many experts believe that bullying victimization is a type of "toxic stress" that stays with the victim even in the adult lift. Toxic stress can change a child's physiological responses and put them at an increased risk of developing health problems in adulthood. Some studies have found that the same inflammatory response occurs in your body after being bullied that you experience when your body responds to a chronic health problem. Research has also shown that everyone involved in bullying – both victims and the bullies – are likely to have higher levels of inflammation in their body, and it can lead to physical health problems in adulthood. When someone is bullied, it increases their cortisol levels, and a constant increase in the levels of this stress hormone can cause all sorts of long-term mental and physical problems. As you can see that the effects of bullying in children can be quite serious – it can even lead to suicides – so it is important for parents to be there for their kids and listen to what they have to say. Do not automatically think that your child is weak in studies because they have some health problems – it could be the result of what they are experiencing in the form of bullying at school. You should also share information about bullying with your children – share new data with them, discuss the effects of bullying, and tell them how to react to difficult situations. You should also talk to your child's school administrators about their anti-bullying policies. How Often Do Babies Get Cataracts and How to Cope? Why Do Kids Grind Their Teeth?